Free slots are enjoyed by gamblers the world over, and with good reason! People everywhere are drawn to slot machines because they provide unparalleled entertainment value and you don’t need any special skills in order to play them. The games come in a variety of styles and themes so there’s something to appeal to everyone. The only thing lacking in free slots are the jackpots. You can still experience the thrill of winning, you just can’t take that money to the bank. But, while you might still be thinking “why should I play free slots if I can’t withdraw my winnings?” The fact is, by playing free slots you can actually increase your chances of taking home real money winnings. Below, we’ll outline the steps to show you how. Although they can look strikingly similar in terms of appearance, online slots machines are different than their land-based counterparts. For example, instead of pulling on the “arm” to set the reels in motion, you need only click your mouse at an online casino. You also don’t need to feed the machine with coins. Instead, you would have a balance of funds that would apply to any game you choose. For this reason it is very important that you pay close attention to the denominations of each bet. This will determine how long your money will last versus the potential value of the payout. Playing free slots before becoming a real money player can really help you to familiarize yourself with the betting amounts available at your chosen slot machines. It will help prevent situations in which you might think you’re only betting a quarter, when in fact, your wager could be as high as $5 for each spin of the reels. Free slots are not the same as table games. Some table games have higher limits than others. Just like with free slots, you can also practice playing table games without having to make a deposit. Learning which games suit your budget can help extend your bankroll. 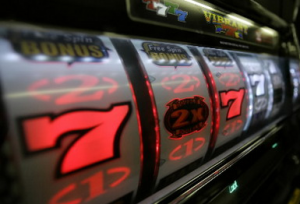 Online slot machines have rules that apply to particular games. For example, in order to qualify for a win on a progressive slot machine you must bet the maximum coin denomination in order to trigger a jackpot win. Playing free slots will give you a chance to learn these rules so that you don’t end up getting a nasty surprise when it comes time to cash out your winnings. Playing free slots is a great way to try out all the games you want without any risk. You’ll discover which games you like, how they function, and any rules that might get in the way of maximizing your winning potential. Some casinos even offer unlimited free slots play, so if you’re simply looking for some entertainment and aren’t concerned about real money winnings, these might just be what you’re looking for!